Ron and Maggie Tear Photography: Temporary Trouble. When visiting Landmannalauger in winter two vehicles are a must. 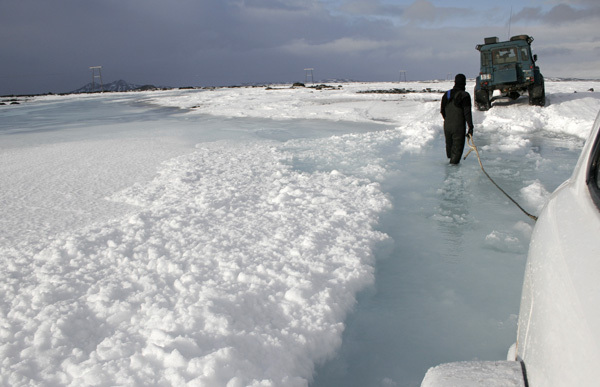 This is the reason, under the snow the ice can thaw on warm days resulting in deep trenches. We did get out eventually, Eggert had his hands full ! Landmannalauger, Iceland, Arctic, Atlantic Ocean.